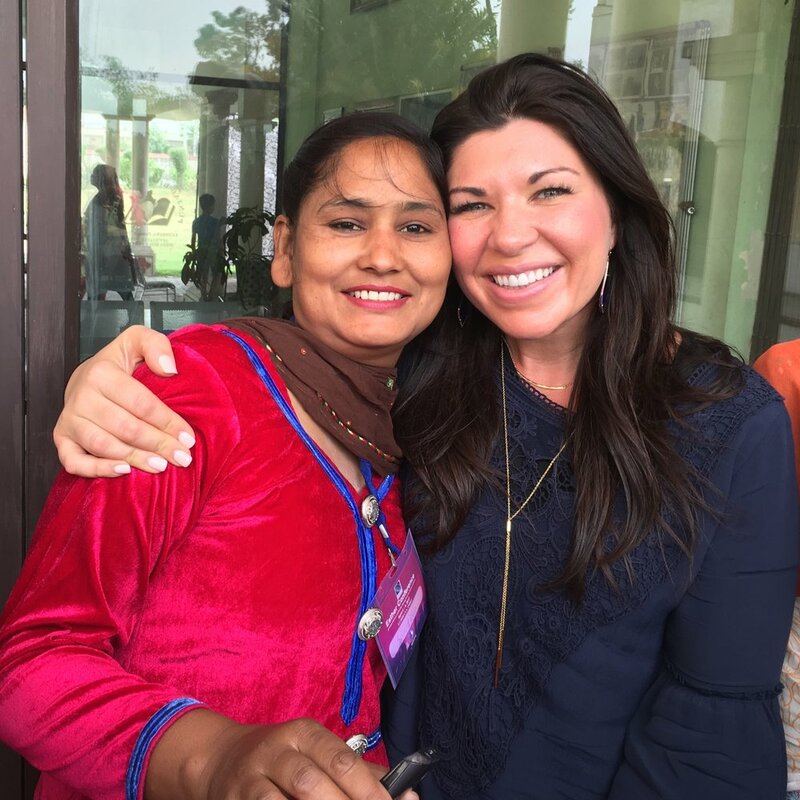 About a month ago I packed up my small carry-on suitcase, made a long list of all the items our crazy family schedule holds these days, kissed my husband and five kids goodbye, and hopped on a plane to go encourage and equip the beautiful women leaders of Punjab State, North India. Our Global Advance Ambassador team had one unified, passionate desire: to see the forgotten women in the darkest places on the globe transformed by the love of Jesus Christ, and then to equip them to arise and take hold of the calling that God has placed on their lives. I’ve been on mission trips before, but this trip activated something new deep inside of me. God moved in my heart in an unexpected way, confirming so many personal dreams regarding my own calling to the unreached women in the nations. It truly was a sweet gift. During our three-day training conference we got to see the Lord move in a powerful way to bring healing and freedom to women as we poured out ourselves and the messages God gave us. I am always left overwhelmed when I get to experience a group of women so passionately in love with their Savior, united by the great task of reaching their nations. These are nations so dark and demonically oppressed by fear and the worship of idols that their light appears small and dim in comparison to the heavy darkness. But with unwavering tenacity and strength, these women press on. 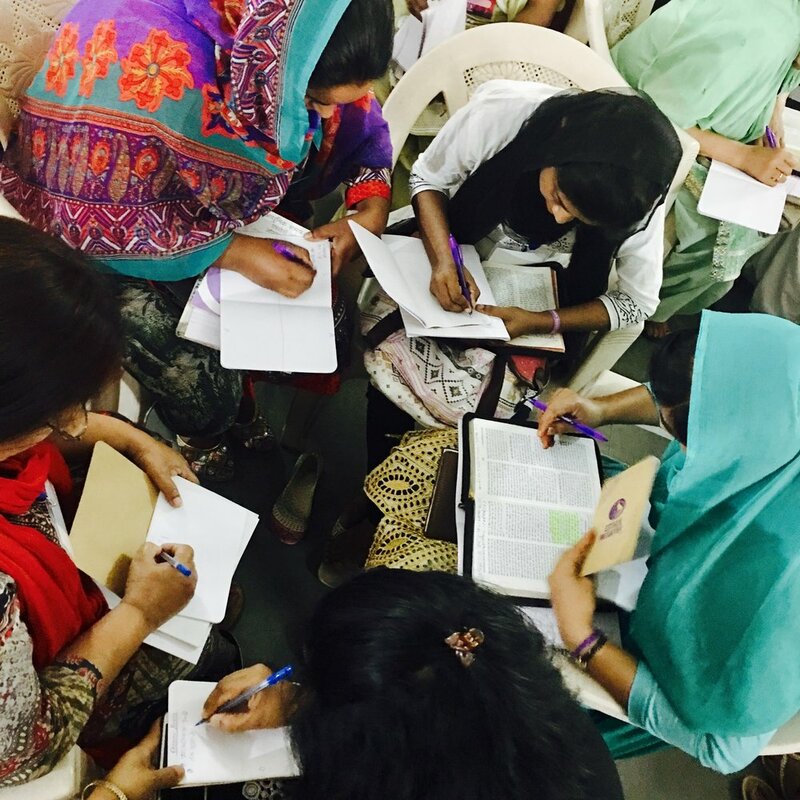 In Ludhiana, we could see their light expand as they grew not only in depth of knowledge, but also in unity with one another, a renewed pursuit of intimacy with their God, and in passionate commitment to reach their spheres of influence with the gospel. The cost is high in exchange for their faith. In so many cases, these women have lost families, their own personal safety and that of their children, any hope of a secure earthly future, and sometimes nearly everything to follow Jesus and be obedient to His call. Our God is moving and advancing His Kingdom in an unprecedented way in the days that we are living in. Now more than ever there is a great need for indigenous leaders to be trained and equipped to reach their people with the only hope of Jesus Christ. These courageous women are standing on the front lines of the battlefield in a nation that doesn't always shout their worth. Some are fulfilling their servant roles and standing next to their husbands as they go unseen, holding his arms up when he grows weary of the tremendous unending work to pierce the darkness. Where doors are open and the need is great, some of these women are holding the leadership roles themselves. Others are young women - the next generation of rising leaders - so hungry and ready to be sent out; their hearts and minds unmoved by their surroundings and firmly set to fulfill the call that God has placed on their lives - no matter the cost. These women need us. They are our sisters. They can’t stand alone, and they won’t be able to continue standing without first being equipped. Friends, we must be faithful to come alongside these courageous modern day Esthers. We must use our talent and treasure for a purpose that far exceeds ourselves. It’s so important that we consistently do our part to advance the Kingdom in the nations and wherever God has placed us. The Esther Initiative was recently in Northern India to conduct our first ever Esther conference in Punjab State, where only 0.5% of the population professes Christ. As a result of our Global Advance training event, 166 women made commitments to spend daily time with God, 93 committed to mentoring relationships, and 46 women committed to cross-cultural missions. Throughout the month of May, your gift will be doubled by generous friends of Global Advance who have presented a $90,000 matching challenge. Please consider taking advantage of this incredible opportunity! Older PostWHO BETTER TO GO THAN US?